The new Bliss Paper Pack from Close to my Heart is perfect for wedding themed projects, but would also be lovely for scrapbooking vintage photos. I love the way the neutral colors blend together with soft romantic patterns. 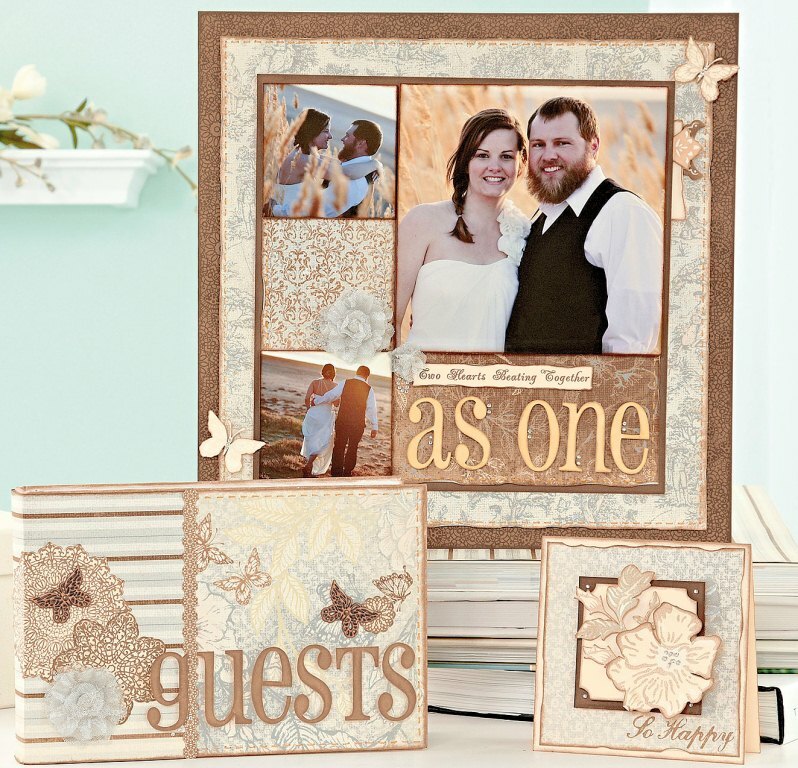 Neutrals like these are a great choice when scrapbooking photos without prominent colors that you want to highlight. Notice the subtle use of sparkles in these projects; the stick on bling adds the final touch. 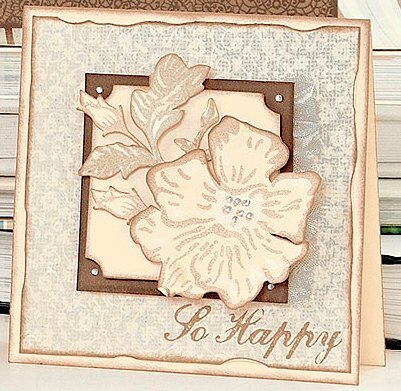 The flower on this card was stamped, cut out, and then sponged on the edges to make it pop. You can curl up the edes of petals to give them more dimension. 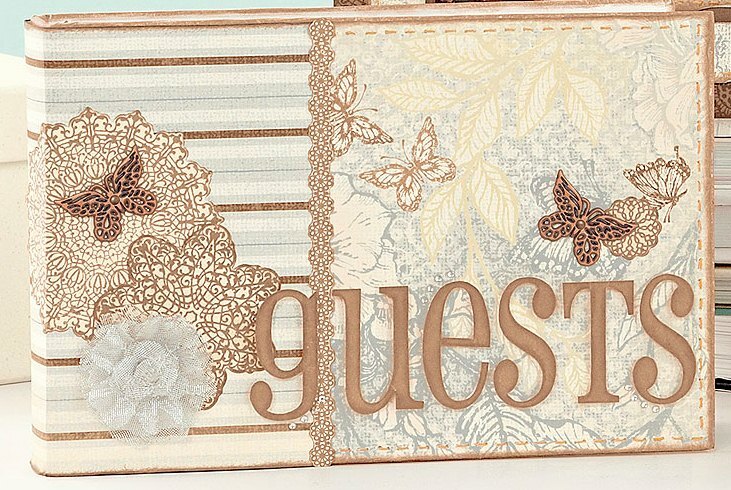 Make a custom guestbook out of a mini scrapbook. You can even go back in later and add photos of each guest from the event. This entry was posted in Cards, Scrapbooking and tagged Bliss Artwork Ideas, mini album, New Spring 2011, wedding. Bookmark the permalink. Thanks Robyn, I made it using the Z1141 My Creations™ 3-Ring Binder. The Binder makes it simple, you just have to decorate the cover withe coordinating paper & embellishments. Good luck! Hello I was wondering how you made the guest book idea. I love this idea and I was wondering what book you used to create this idea. I LOVE this and would like to make something like this for my best friends wedding. 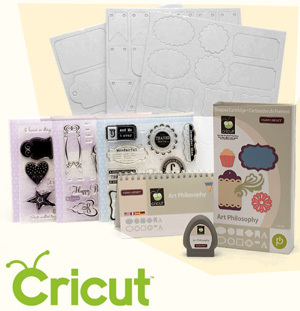 Check out the new Close to My Heart Cricut Cartidge Bundle !